Sam H. Lock represents individuals accused of crimes. He aggressively represents people charged from all walks of life, concentrating on Federal Crimes, White Collar Defense, DUI Offenses, DWI Offenses and various other Felony Cases and Drug Offenses. He also helps clean up criminal records for people through the Expunction Process. 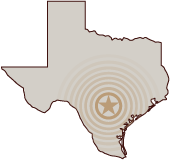 Bexar County, Guadalupe County, Comal County, Wilson County, Gonzales County, Kendall County, Bandera County, Caldwell County, Hays County, Travis County, Medina County, Blanco County, Burnet County, Atascosa County, Live Oak County, Nueces County and others.